The English Renaissance was a cultural and artistic movement in England dating from the late 15th to the early 17th century. It is associated with the pan-European Renaissance that is usually regarded as beginning in Italy in the late 14th century. Like most of northern Europe, England saw little of these developments until more than a century later. The beginning of the English Renaissance is often taken, as a convenience, to be 1485, when the Battle of Bosworth Field ended the Wars of the Roses and inaugurated the Tudor Dynasty. 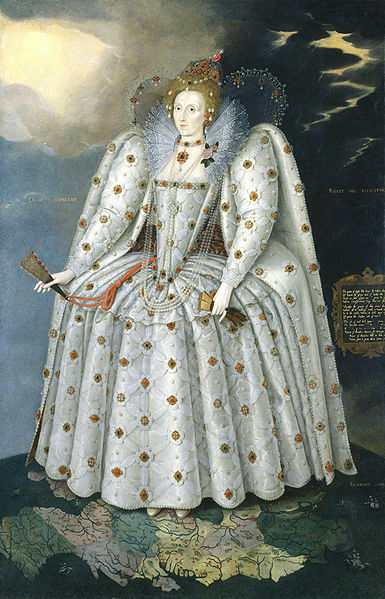 Renaissance style and ideas, however, were slow to penetrate England, and the Elizabethan era in the second half of the 16th century is usually regarded as the height of the English Renaissance. The English Renaissance is different from the Italian Renaissance in several ways. 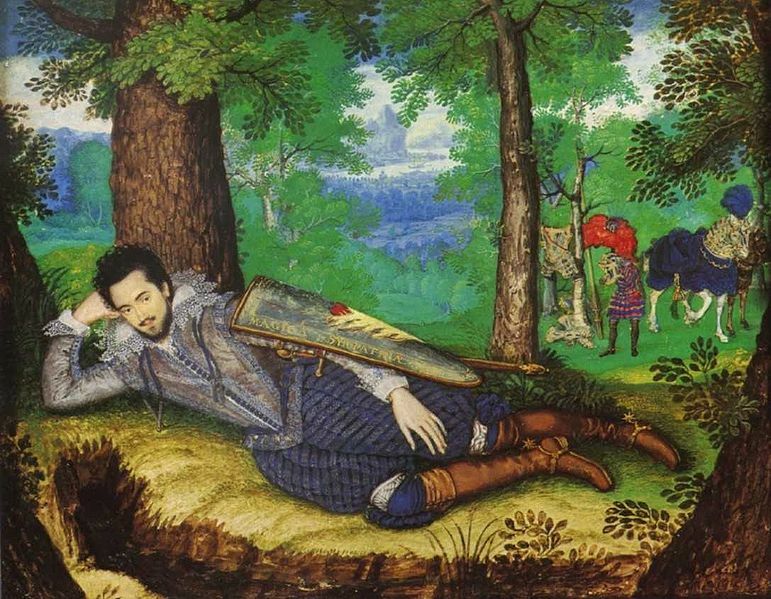 The dominant art forms of the English Renaissance were literature and music. Visual arts in the English Renaissance were much less significant than in the Italian Renaissance. The English period began far later than the Italian, which is usually considered to begin in the late 14th century, and was moving into Mannerism and the Baroque by the 1550s or earlier. In contrast, the English Renaissance can only be said to begin, shakily, in the 1520s, and continued until perhaps 1620. England had a strong tradition of literature in the English vernacular, which gradually increased as English use of the printing press became common by the mid 16th century. 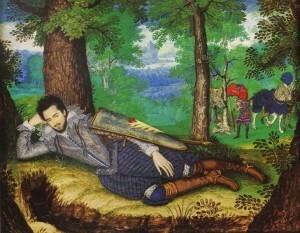 By the time of Elizabethan literature a vigorous literary culture in both drama and poetry included poets such as Edmund Spenser, whose verse epic The Faerie Queene had a strong influence on English literature but was eventually overshadowed by the lyrics of William Shakespeare, Thomas Wyatt and others. Typically, the works of these playwrights and poets circulated in manuscript form for some time before they were published, and above all the plays of English Renaissance theatre were the outstanding legacy of the period. The English theatre scene, which performed both for the court and nobility in private performances, and a very wide public in the theatres, was the most crowded in Europe, with a host of other playwrights as well as the giant figures of Christopher Marlowe, Shakespeare and Ben Jonson. Elizabeth herself was a product of Renaissance humanism trained by Roger Ascham, and wrote occasional poems such as On Monsieur’s Departure at critical moments of her life. Philosophers and intellectuals included Thomas More and Francis Bacon. All the 16th century Tudor monarchs were highly educated, as was much of the nobility, and Italian literature had a considerable following, providing the sources for many of Shakespeare’s plays. English thought advanced towards modern science with the Baconian Method, a forerunner of the Scientific Method. The language of the Book of Common Prayer, first published in 1549, and at the end of the period the Authorised Version (“King James Version” to Americans) of the Bible (1611) had enduring impacts on the English consciousness. Historians have also begun to consider the word “Renaissance” as an unnecessarily loaded word that implies an unambiguously positive “rebirth” from the supposedly more primitive Middle Ages. Some historians have asked the question “a renaissance for whom?,” pointing out, for example, that the status of women in society arguably declined during the Renaissance. Many historians and cultural historians now prefer to use the term “early modern” for this period, a term that highlights the period as a transitional one that led to the modern world, but attempts to avoid positive or negative connotations. Other cultural historians have countered that, regardless of whether the name “renaissance” is apt, there was undeniably an artistic flowering in England under the Tudor monarchs, culminating in Shakespeare and his contemporaries.